Over 100 Billion bananas are eaten every year. Bananas are grown in over a hundred countries around the world, but of the five major producers listed, one grows more than the others. Can you guess which country grows the most bananas? Fill in the blanks of the listed places and use the numbered spots to learn which country produces the very most. Bananas grow best in hot, humid climates and are one of the most popular foods in the world. The United States is one of the biggest consumers of bananas, but only grows a small number in Hawaii. 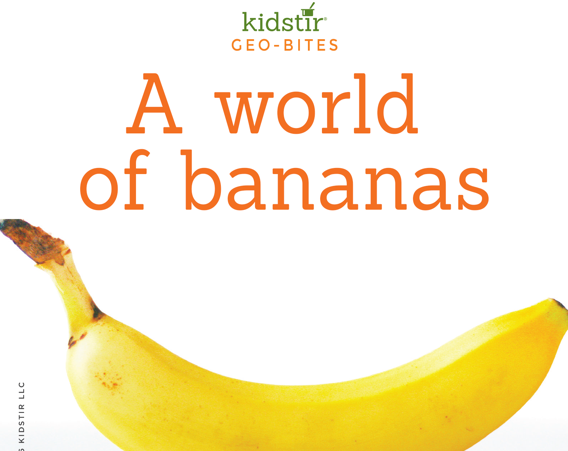 We import most of the bananas we eat from Central America, including Panama, Costa Rica, Guatemala and Ecuador. There are many different varieties of banana, but the one that Americans are familiar with is called the Cavendish banana. West African countries also grow a large banana crop, including Ghana, Cameroon and the Ivory Coast. Only 20% of bananas are exported overall, so some of the largest growers consume more bananas in their own countries than they export to other places. 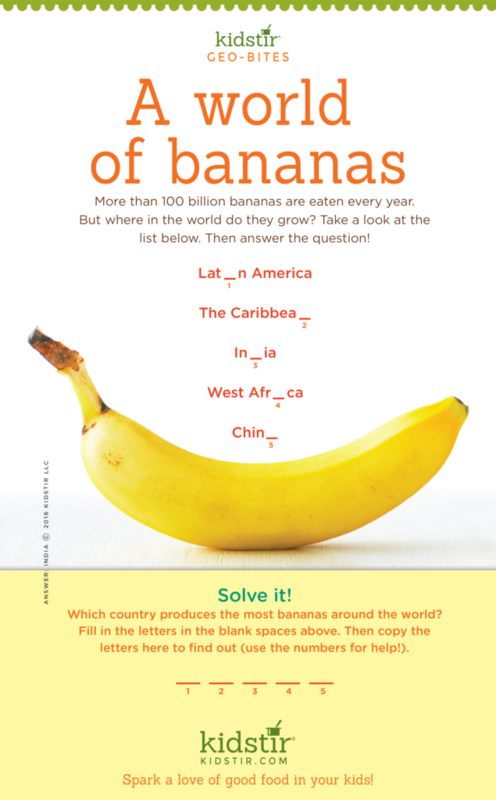 Please feel free to use this banana infographic and share it on your own site using the provided code snippet below. Previous post: School Days Are Back!